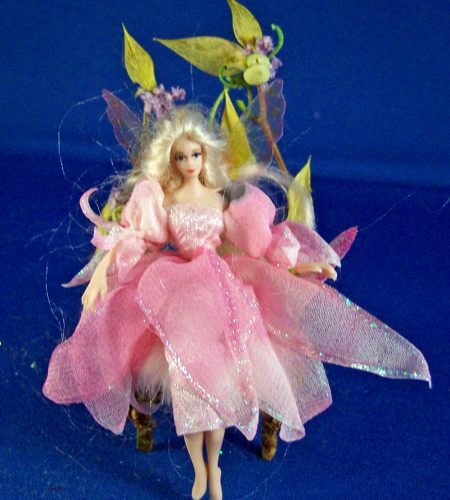 Sumptuous and regal, this little fairy is a heavyweight when it comes to beauty and visual impact. 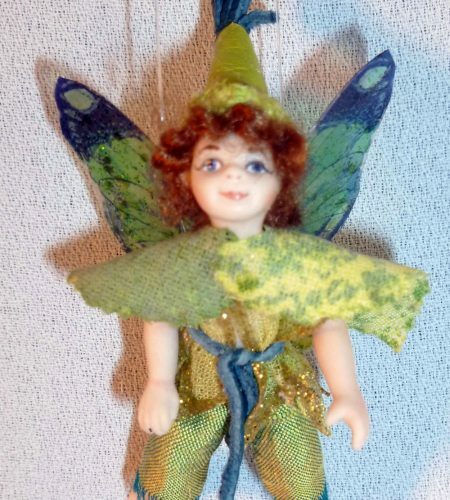 She stands about 3″ tall and is dressed in gilded lace and starched silk. 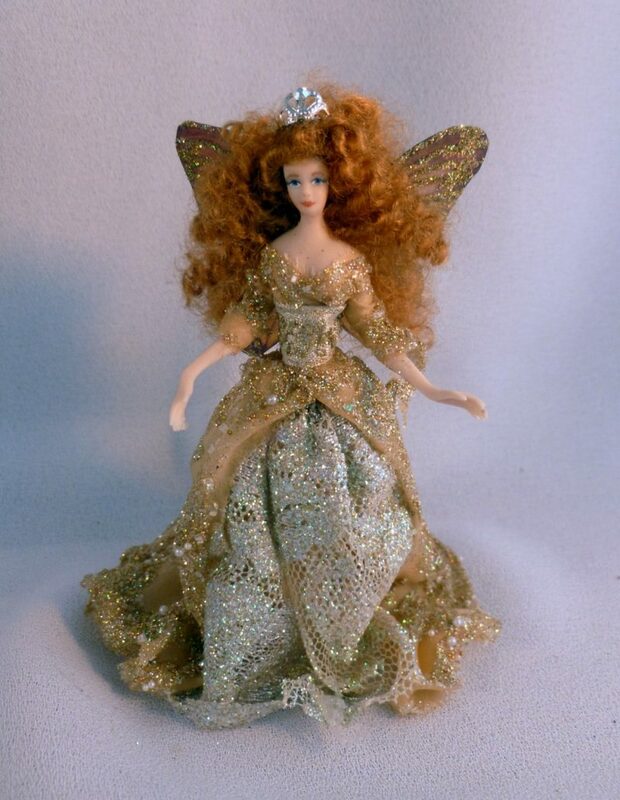 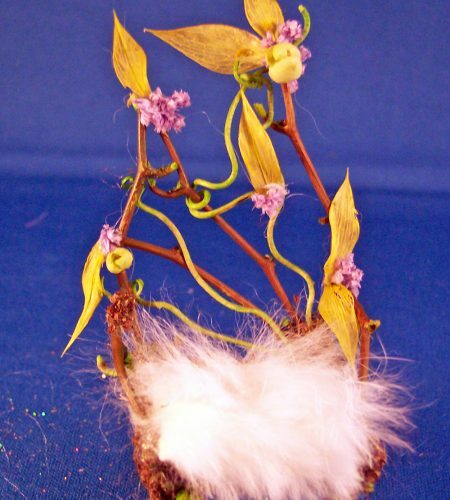 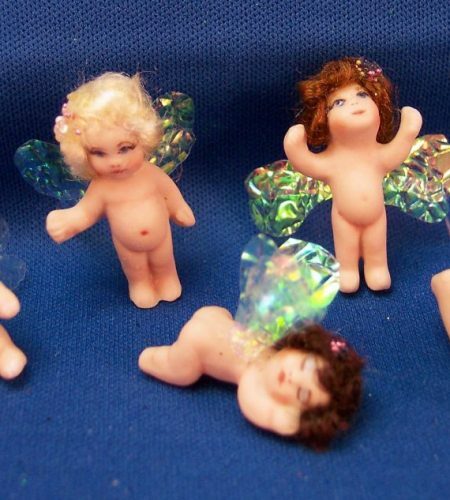 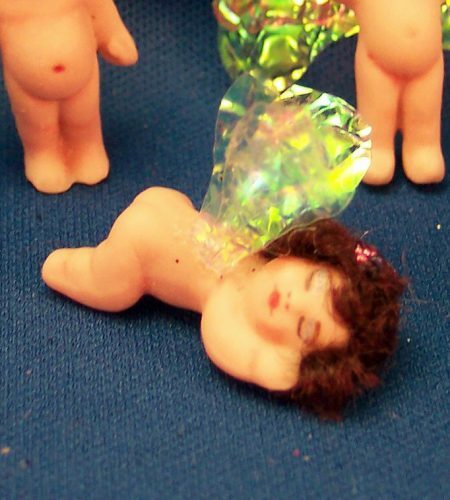 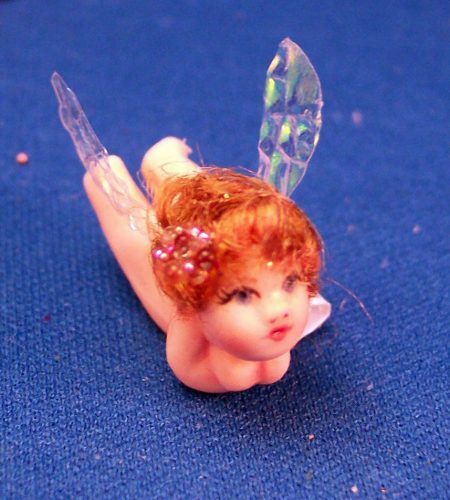 Glimmering with fairy dust, she has spectacular butterfly patterned wings and curly golden hair topped with a tiara.